Looking for a nice second home or a home in which to downsize? 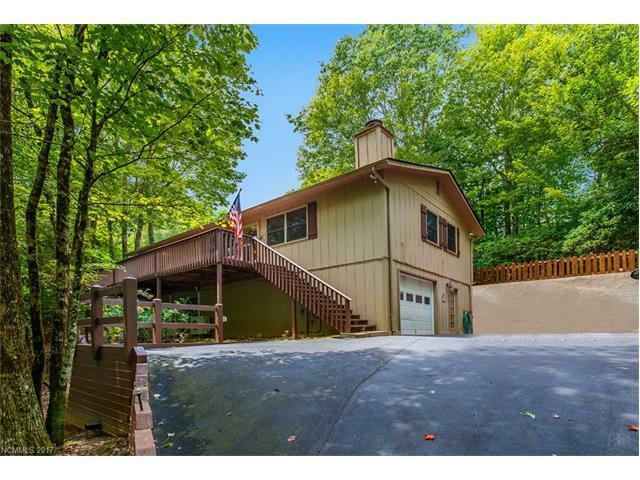 This conveniently located home with one car garage is just the ticket. Open floor plan. Corner Gas Log Rock Fireplace in Living/Dining area. Kitchen with newer stainless steel appliances including Gas Range and large bar area open to living and dining areas. Large MBR with room large enough for separate sitting area. New main level 1/2 bath added. Nice open deck in the front and patio in the back for outdoor living. Lower Level guest bedrooms and newer full bathroom for privacy. Nicely landscaped rear patio with fenced area. 3 newer Mitsubishi HVAC units for efficiency. New roof 2017. Close to clubhouse, swimming pool, bocce, tennis facility, wellness center, pickle ball, and the 18 hole George Cobb designed golf course. First time buyer in Connestee Falls pays $8,000 UF.